The NEC OL-E705 is a 10-point Infrared Touch Overlay for the E705 and P703. This overlay is provided with tempered glass and is HID compliant as well. 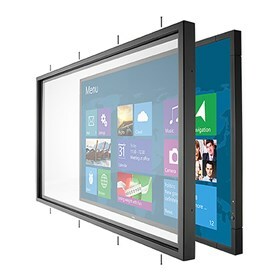 With Windows 8, this overlay solution is future-proof with the newest compatibility for operating systems and is easy to install. The NEC OL-E705 has many exciting features for users of all types. See the NEC OL-E705 gallery images above for more product views. The NEC OL-E705 is sold as a Brand New Unopened Item.